We did it! 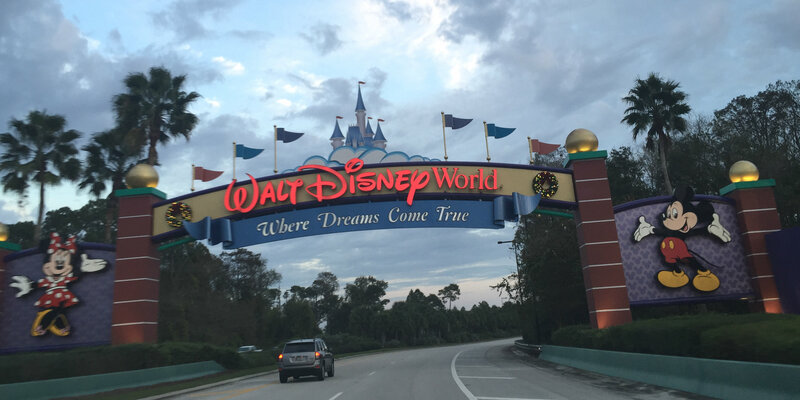 We drove from Toronto to Orlando with four kids ages six and under. Honestly, it wasn’t that bad. Growing up, I always did the same drive with my family, so this to me is almost a right of passage. Plus, I would never try buying six flights over the holidays, because it would cost a fortune. Unlike the last time we did this trek, we started packing and preparing weeks in advance. 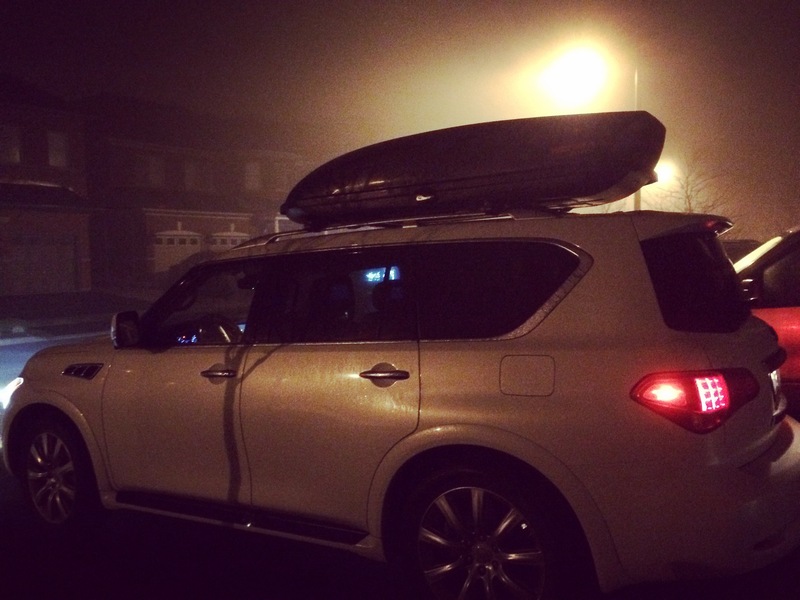 We were extremely strategic with how we packed our SUV, including having designated bags to go in the car and ones to go in our roof top carrier. We used mostly duffle bags, and tried to avoid suitcases, so we could shove and squish our luggage. Note: we removed the center console in the middle row of our SUV. By doing this,our older kids can easily walk into the backseat and buckle themselves up into their booster seats. This has been a lifesaver, especially with having to accommodate our twins’ carseats. I packed our overnight bag that we would use when we stopped in Tennessee, and made sure I had all of the necessary in-car survival bags we would need. These included a soft cooler filled with fruit, bottles of water and milk for bottles, a snack bag with dry snacks and containers, and most importantly, my bag of tricks. In this bag, I filled it with dollar store toys, stickers, and the best invention ever… Crayola Color Wonder markers and colouring books (these are the no mess kind). After putting our four kids to bed in their comfy clothes, (so that we didn’t have to change them when we left), we packed the car and tried to get some sleep. Before going to sleep, Holden, our oldest, was upset, thinking that people wouldn’t know we were going to come home and would move in while we were away. We calmed his nerves and he finally fell asleep. At 2:30am our alarm sounded and it was time to get going. we loaded each kid into the car and were on our way. I had already sent my husband Mike out to buy us coffees and muffins so that we wouldn’t have to stop for a while. We drove straight through to Windsor, stopped for a bathroom break and gas fill up and were ready to cross the boarder. Little did we know that unlike previous years, there would be a huge line at the Canada/US boarder. We lost about an hour here but we were so proud of how patient our kids were. By the time we were just about to cross the Ohio boarder from Michigan, we stopped for breakfast at Dennys. Our kids ate a ton, especially our twins, Mia and Everly. 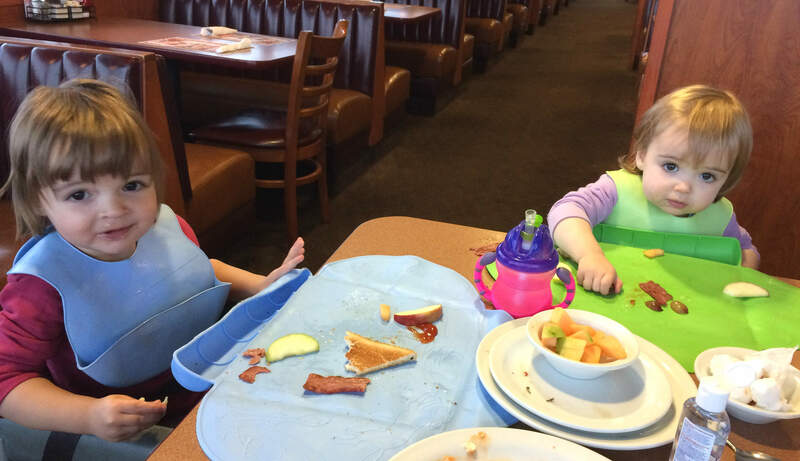 Note: There are a few key items in this photo that I highly recommend: the Tiny Diner Placemats by Summer Infant and the rubber bibs were a life saver! Also some sippys and hand sanitizer is a must! After breakfast we tried to cover some ground, unfortunately Beau, (who is 4-years-old), had to constantly stop for bathroom breaks. This is the kid that never has an accident at night, but when awake, has the tiniest bladder. The only person who had slept at this point was Mia, so by lunchtime everyone was getting a little crusty. When we stopped at McDonalds for lunch, I found a little corner that I could block off so our kids couldn’t escape, and we had an impromptu dance party, while Mike got the food. They all loved it, but we probably looked a little funny… I didn’t care. I just wanted to get everyone moving so our kids would sleep and we could gain some ground. After lunch, a couple bottles and a little work, all four kids fell asleep. But after a couple hours Beau woke up hysterical, feeling sick and begging to go home. This threw us through a loop. We pulled off the highway and tried to figure out how to calm her down. I took her to the bathroom, again, and worked hard at relaxing her. Mike was also unravelling at this point. We were behind schedule, (still in Kentucky), and he felt frustrated that we were stopping so often for bathroom breaks. We bickered a little, but we each pulled it together, got a grip and pushed forward. Over the next few hours we stopped only on the side of the road for quick bathroom breaks in the bushes (yes, we are those people). At one point Mike was pooped on and we broke out in laughter. We drove until 9pm the first night and finally stopped in Chattanooga, Tennessee for the night. We had called ahead to book our room at a Holiday Inn Express and made sure they had two cribs. We got rooms side by side, with Mike and the big kids in one and our twins and I in the other. Half way through the night Everly woke up hysterical and spat up, (which is very typical for her). For the first time in the six years since I became a parent, I brought Everly into my bed and co-slept with her. Anyone who knows me, knows this is a big deal. 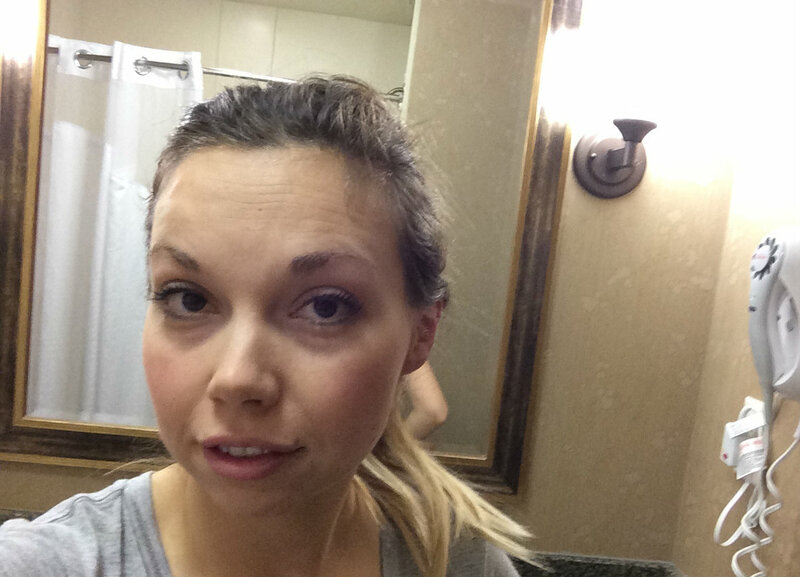 I am a crazy light sleeper and have never been able to sleep with my kids. I was just tired enough that I needed any kind of sleep I could get. I ended up co-sleeping with Everly every night we were in Disney World while I was sharing a room with her. The next morning we woke up on a mission. We decided that if we were going to get to Orlando before dinner we would only do drive through meals, diaper changes in the car and very quick bathroom breaks. At one point on day two, we once again unravelled. I was also done being patient and reminded Mike that we needed to be a team to get through this. 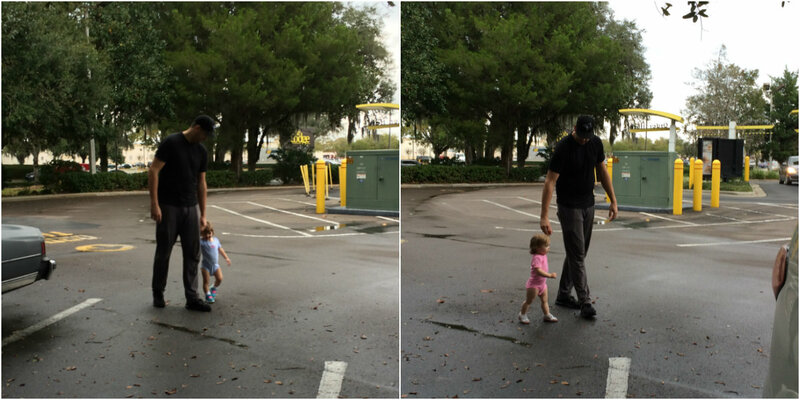 By Gainesville, Florida we were walking Mia and Everly around the parking lot to keep them going. They were losing their patience and very done with being in the car. The only thing I had’t planned was how dirty Mia and Everly would get and how many diaper leaks they would have. We easily went through the six outfits I had packed and for the last few hours of our drive we were down to dirty onesies. All of our other clothes were locked up in our rooftop carrier. Although Everly, (who is typically the most cranky of our children in the car), had been incredibly happy and up for the adventure, was nearing the end of her rope. The final hour of our drive was hard work. I had pulled out every trick up my sleeve, given every snack and used every toy. I was putting on puppet shows for the kids which held off their cries to get out of the car. We had arrived. 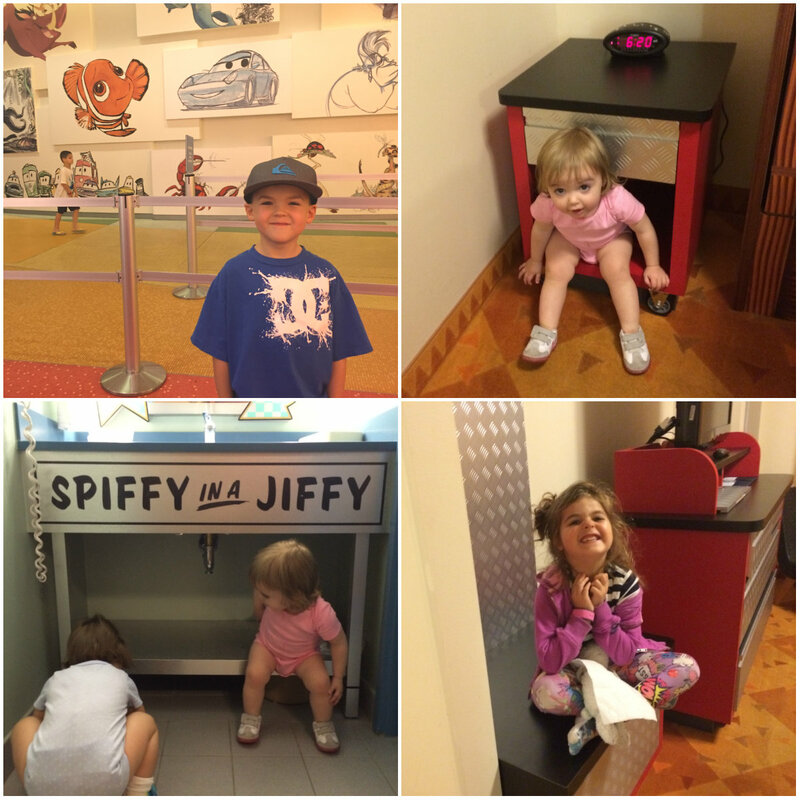 As soon as we entered our hotel room in The Art Of Animation in Disney World, the kids ran around, explored and couldn’t have been happier to be done our big drive. Some people think we are crazy that we continue to do this drive every other year, but whenever we look back on our Christmas holiday vacations, the drive is always part of our happiest memories. Don’t forget to follow Nesting Story on Facebook to catch my upcoming blog posts covering the rest of our three week Florida vacation, including doing Disney World with four kids. How was the weather that time, was it snowing? Did you use winter tires or all season? This was great! I hope you continue posting about all your road trips. This year we will drive from Kitchener to FL for Christmas. 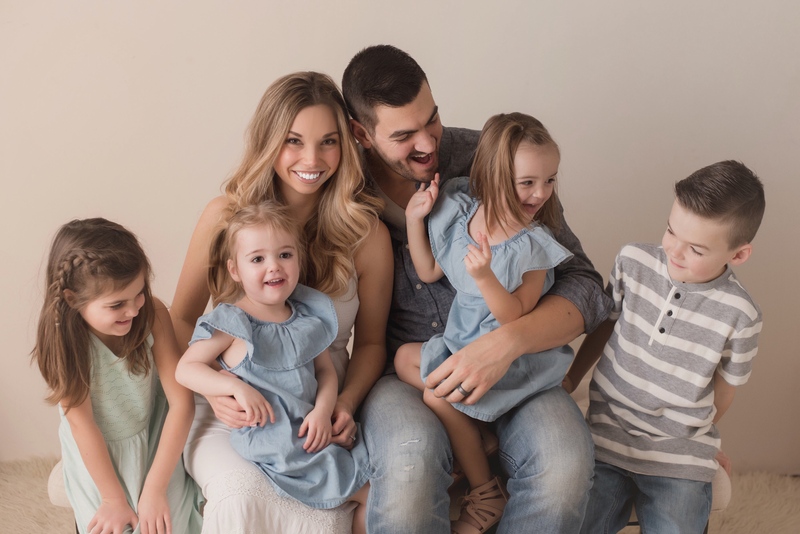 Our kids are older, but I’m glad I came across your blog! I have a question? Why would you drive up to Windsor and cross there and not Niagara? Hi how much did it cost in tolls and gas and how long was the drive . Also were are the hotel you stop at cause I want to do it for March break so I will like to plan ahead thanks .